15 Creative Rulers and Unusual Ruler Designs - Part 2. Collection of 'Creative Rulers and Unusual Ruler Designs' from all over the world. 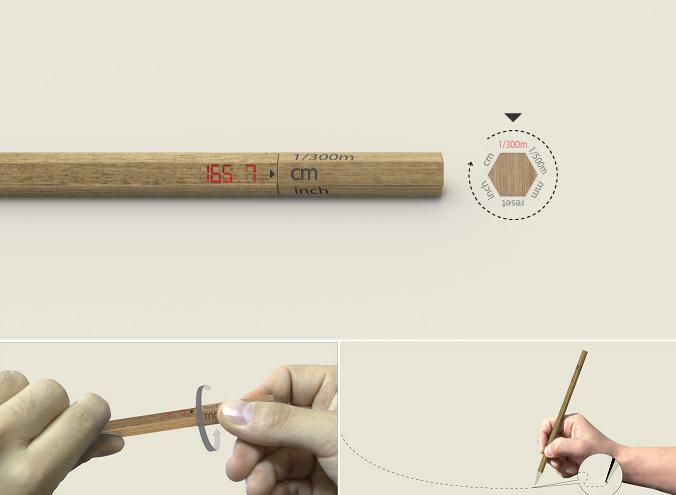 Ruler by Monocomplex: Its look likes a regular six-sided wood pencil but there is much more to it. 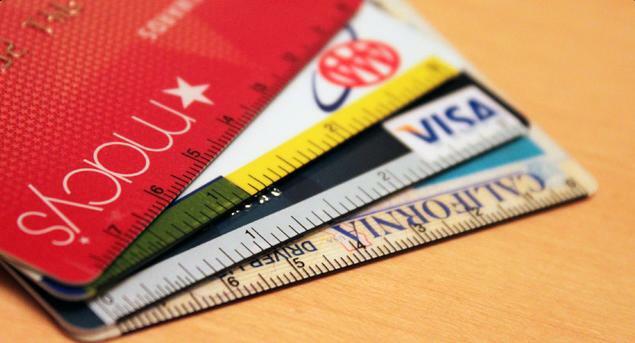 Unlike the standard ruler it can be used to measure length of curve, clothes, furniture. 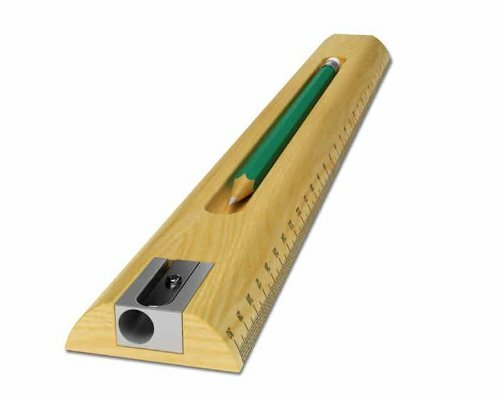 It's a measuring device that works like a pencil; all you need to do is to pull the tip along the course that has to be measured and the numbers are displayed along the side. 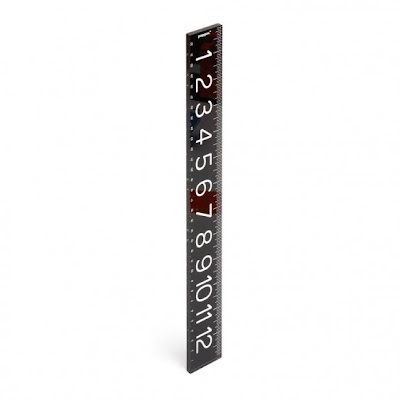 Turning the dial on the upper part of the unit allows you to choose the unit of measurement or reset it. Musical Ruler: It's a plastic ruler with printed finger markings and notes. 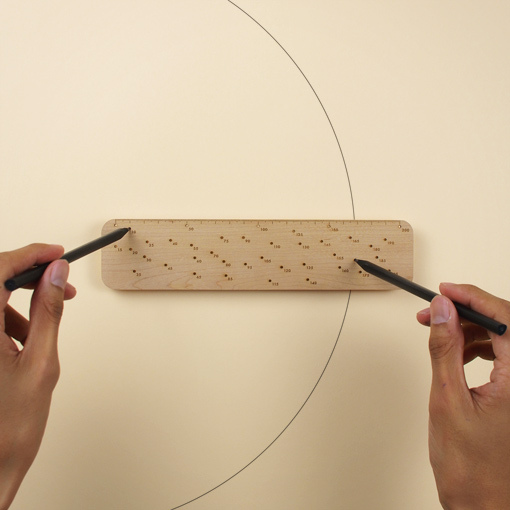 Sliding it up towards the edge of the desk changes the note, so you can play anything. Orbit Ruler: With this cool ruler you can draw circles. 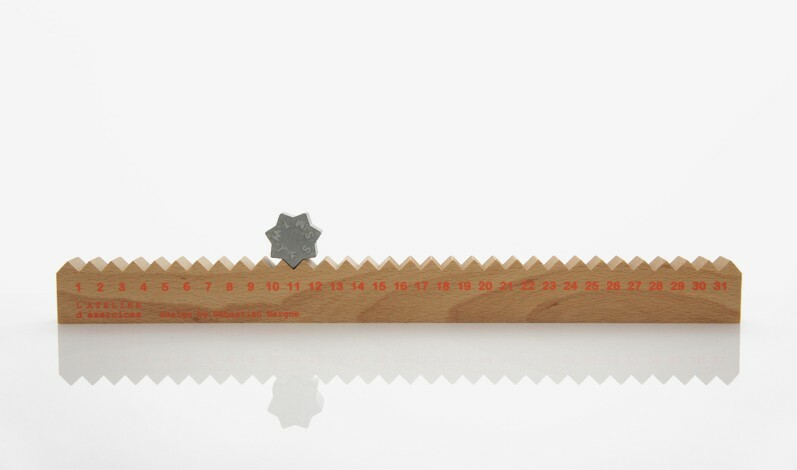 Monthly Measure: It's a monthly calendar and a ruler; the star is placed on one side of the ruler that shows the day and date in the month. 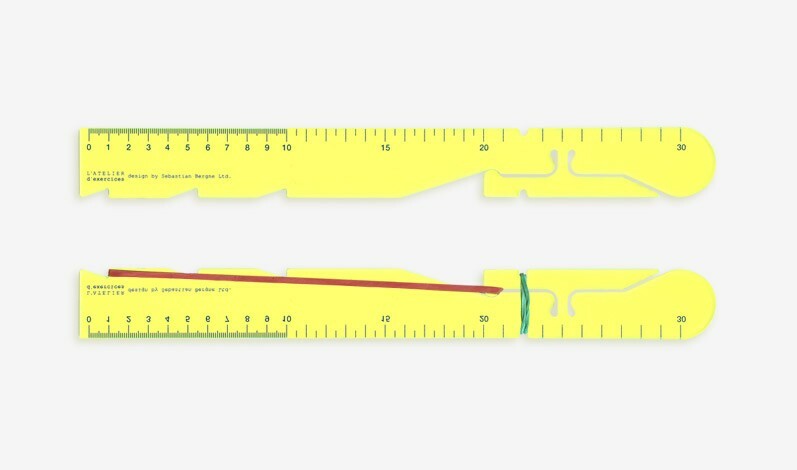 And to change the date you need to move the star along the ruler. 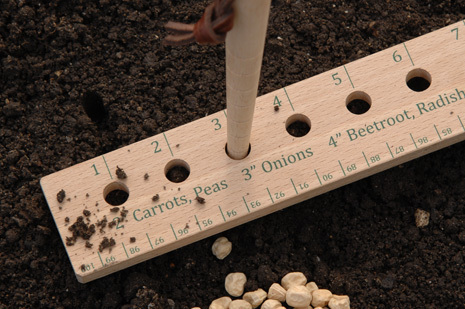 And it can also be used as a 30cm metric ruler. 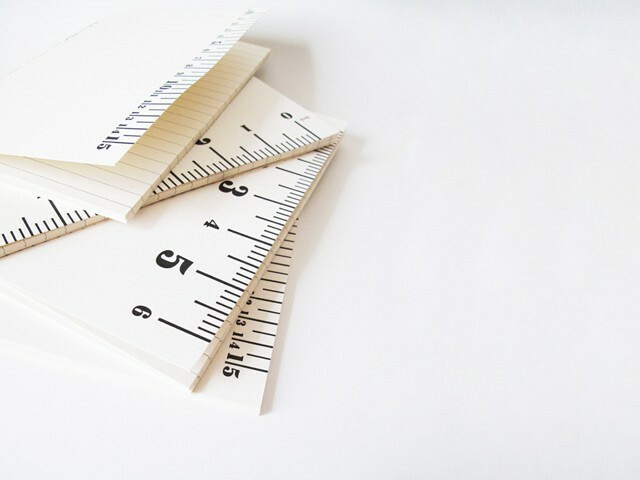 Ruler Notebook: The notebook measures 5in width x 7in length, has 48 lined pages and comes with inch and centimeter ruler on it. Seed and Plant Spacing Ruler: This cool ruler made from FSC beech wood comes with seed sowing holes, metric and imperial graduations, in addition to printed vegetable spacing guide. 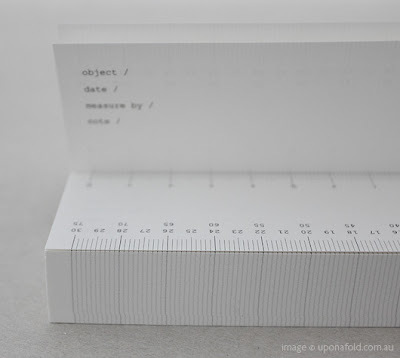 Paper Ruler Notepad: World Ruler is a limited edition notepad and each sheet is a 15cm ruler with a scale of 1:100, 1:200 and 1:500. 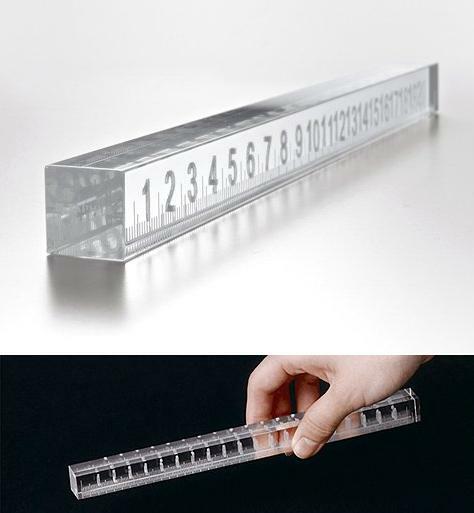 Paperweight Ruler: It's a designer paperweight in the form of a transparent ruler; the numbers appear to be floating in the clear glass, changing and moving when viewed from different angles. 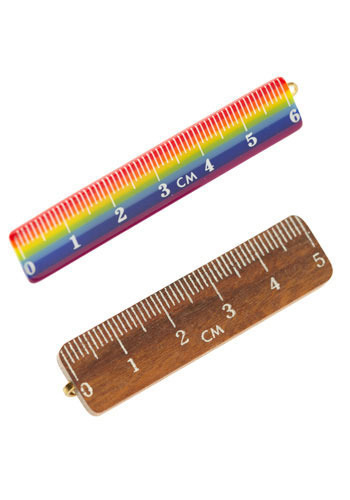 Fashion Rules Hair Clip Set: The wooden ruler is a bobby pin style clip and 2" in length, and the colorful ruler is barette styled and 2.5" in length. 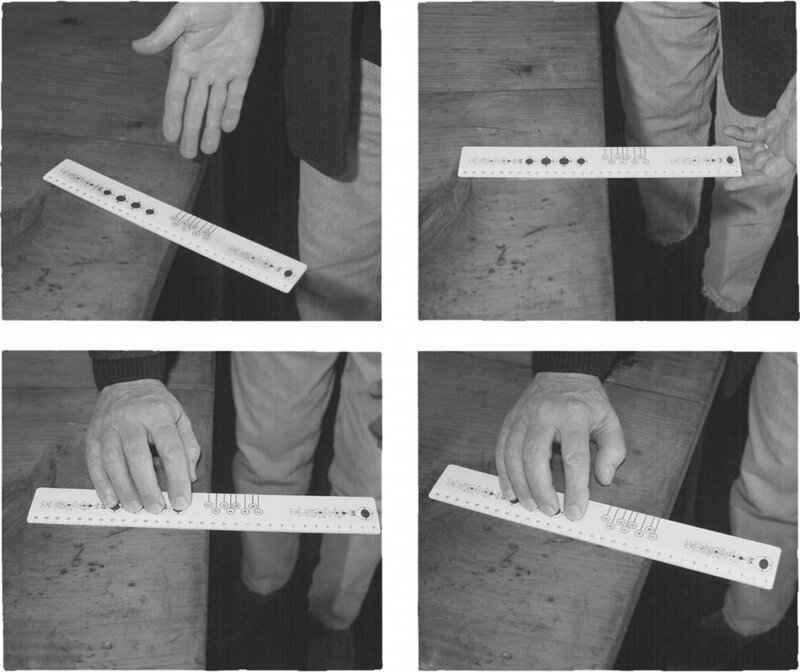 Bend Ruler: When transferring measurements from a board face to its side, it's common for errors to crop in. 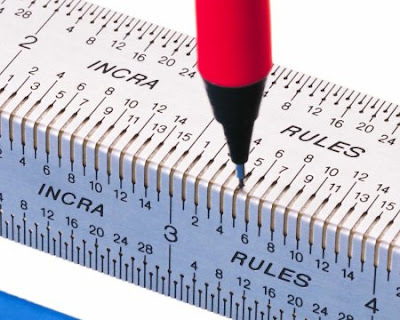 But bend rulers from Incra wraps around the edge of the board, making sure it doesn't happen. 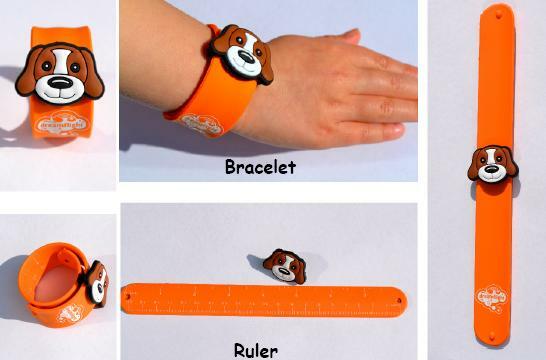 Bracelet Ruler: This ruler can be worn around the wrist and comes with a removable 2D dog, ruler in cm and inches on its back. Tidy Ruler: A cool retro wooden ruler that integrates pencil and sharpener. 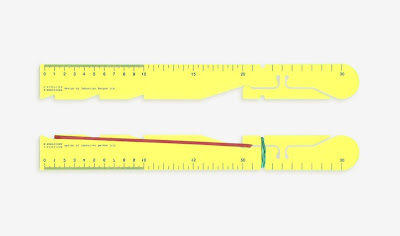 Ruler by Sebastian Bergne: At the first glance it looks like any other ruler but on a closer look at the edges you find that they can secure elastic bands in place. Don't miss to check out "Creative Rulers and Unusual Ruler Designs - Part: 1| 2."